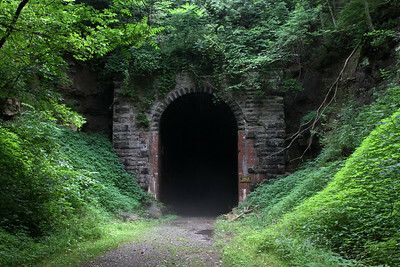 Chartered in 1851, the Northwestern Virginia Railroad built 103 miles from the Baltimore & Ohio Railroad mainline at Grafton, West Virginia, to the Ohio River at Parkersburg. 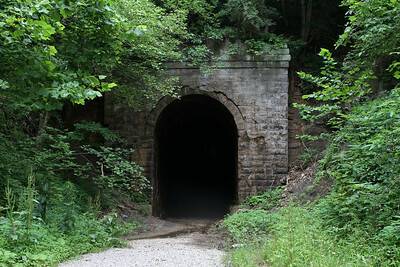 The line was sold to the B&O upon completion on May 1, 1857 and became the B&O Parkersburg Branch. 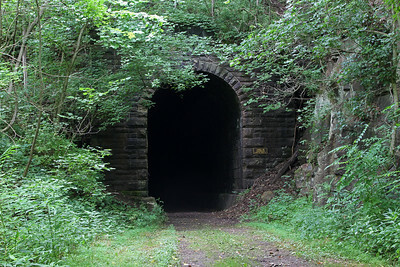 Coupled with the opening of the Marietta & Cincinnati Railroad (see Moonville Tunnel) just weeks prior, the B&O completed a connecting rail route from the east coast to St. Louis. 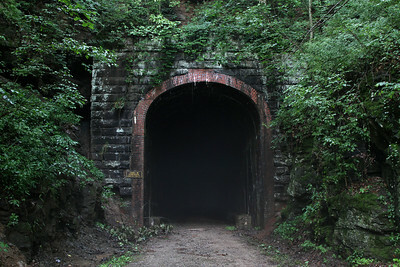 The Parkersburg Branch was built to high engineering standards with 23 tunnels and 52 bridges to minimize curvature and offer a maximum grade of 1.5%. 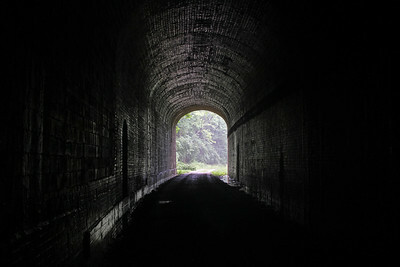 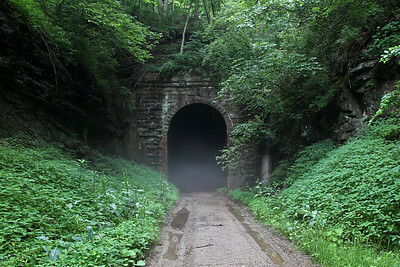 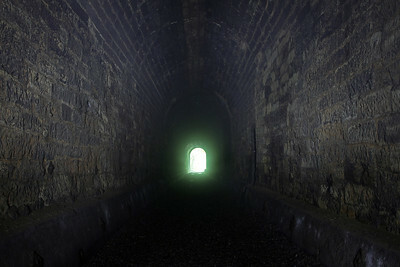 The tunnels, all but one of which appeared in a 60-mile segment between Clarksburg and Parkersburg, required limited change in their first century of service. 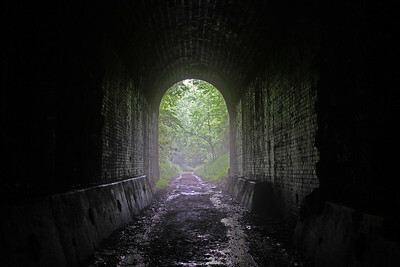 The easternmost tunnel (#1) was replaced with a parallel double-track bore, four short tunnels were daylighted into open cuts, and some others were reinforced with new portals and lining. 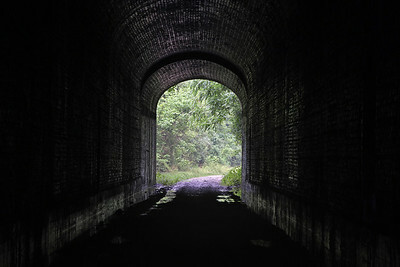 However, by the early 1960s, the clearance requirements of higher piggyback trailers and larger boxcars necessitated more significant change. 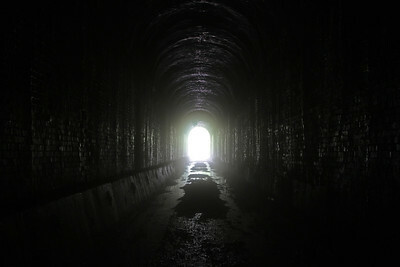 An extensive tunnel clearance project in 1963 consisted of lowered floors (5 tunnels), raised roofs (4), full tunnel replacement (Tunnel 21 only), realignment/bypass (3), and daylighting (5), ultimately increasing minimum clearance from 14' 2" to 17' 2" and reducing the active tunnel count to 11. 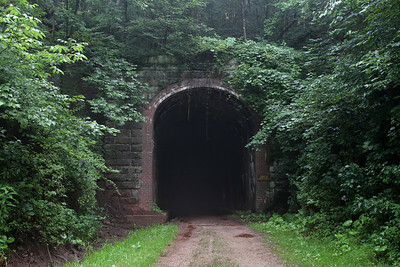 For the next few years the B&O claimed the shortest piggyback freight route between the East and Southwest. 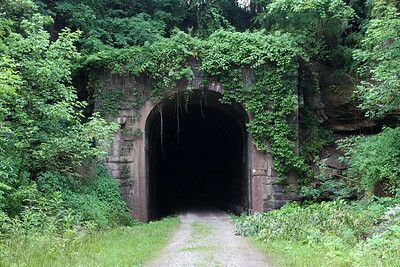 However, once Chessie System became the parent of the B&O, C&O, and Western Maryland in 1973, declining traffic and alternative routings led to the abandonment of the Parkersburg Branch in 1985. 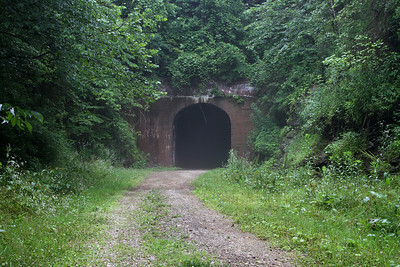 Track removal and grading for the 72-mile North Bend Rail-Trail from Clarksburg to Parkersburg began in 1989, while CSX operates the remaining track east of Clarksburg (including Tunnel 1). 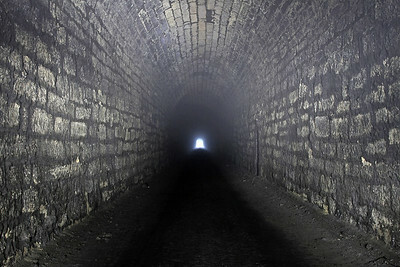 The 13 remaining tunnels west of Clarksburg are pictured here, while the current states of all 23 original tunnels are listed below. 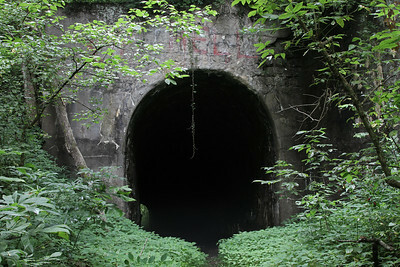 Rail-trail (10 of 23) indicates a tunnel is now part of North Bend Rail Trail. 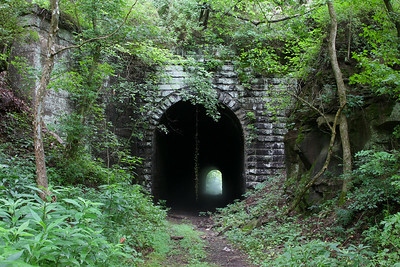 Bypassed (3) indicates a tunnel is standing but the railroad (now trail) was rerouted around in a cut. 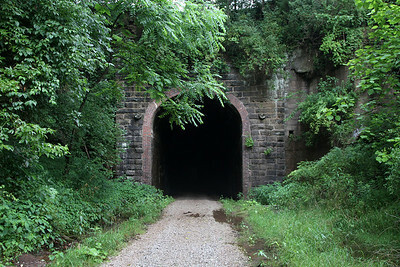 Daylighted (9) indicates a tunnel was blasted by the railroad and replaced with a cut. 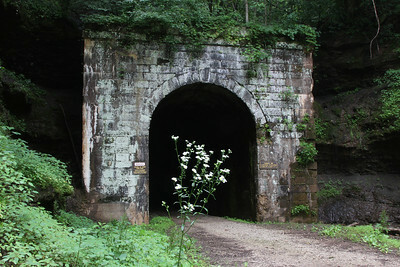 All mileposts (MP) indicate distance from Grafton, West Virginia. 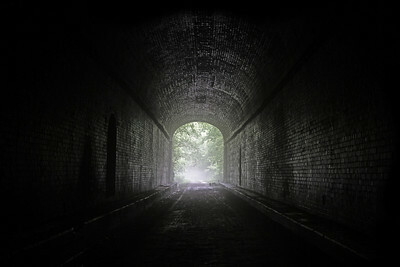 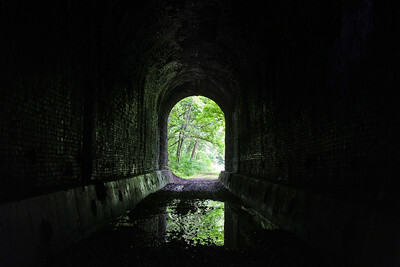 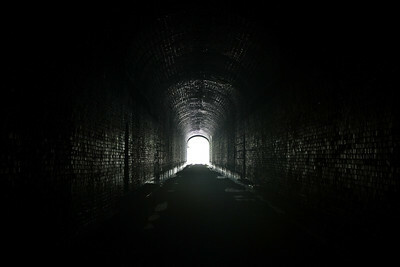 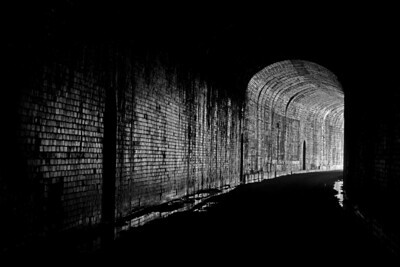 Tunnel lining and portals are primarily cut stone and brick. 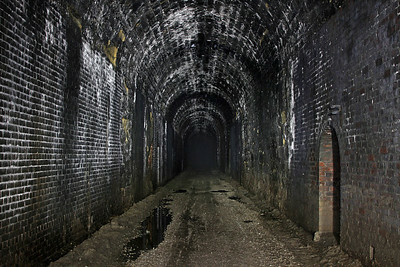 In many cases, breached stone was patched with brick, and later fallen brick patched with cinder blocks. 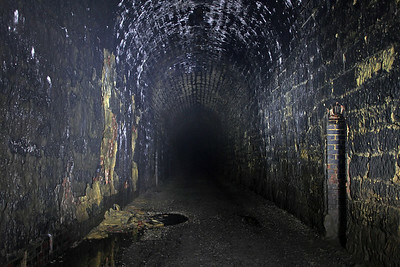 All tunnels are lined for their full length, except Tunnel 10 which remains entirely unlined.